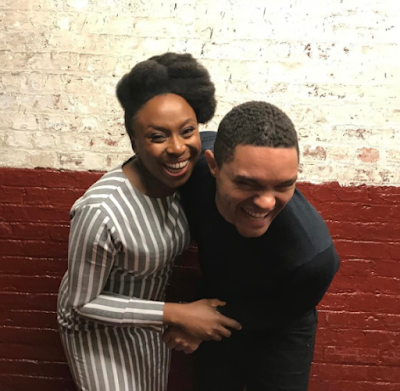 South African born comedian and host of 'The Daily Show', Trevor Noah recently met with Nigerian author, Chimamanda Adichie and he had sweets words to describe the encounter. 'An honour and such a joy meeting @chimamanda_adichie. I've learned so much from this amazing woman's work but I never knew we'd have so much fun debating, arguing and laughing. 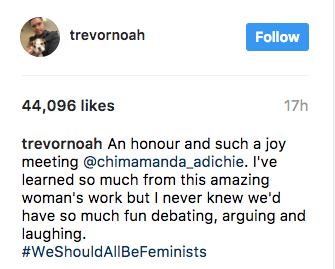 #WeShouldAllBeFeminists'.